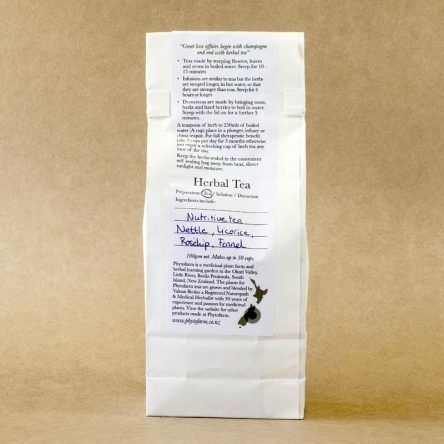 Fresh herbal teas are a delight to drink and a great inclusion daily life to calm, invigorate or improve particular body systems or organ function. 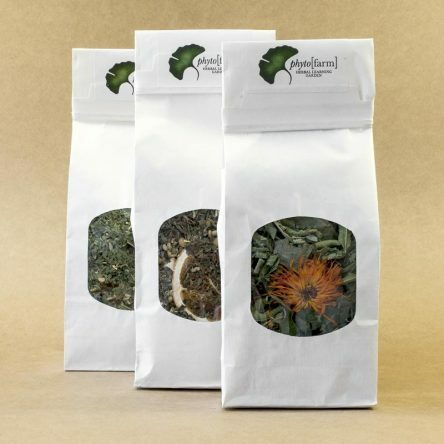 Phytofarm herbal teas are made from organically grown plants, carefully dried and blended into refreshing beverages. 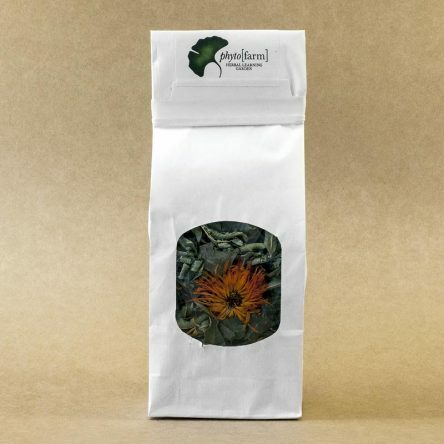 Each season Valmai blends a herbal beverage to highlight the benefits individual plants. These are made with leaves and flowers and should be infused by pouring approximately 500mls of boiled water over a heaped dessertspoon of herbs into a coffee plunger or tea pot only used for herbal teas. Leave to steep for 10 minutes and drink at room temperature. These are made with berries and roots by adding the plant material to approximately 500mls of cold water and brought to the boil. Leave the mixture steep for 5-10 minutes with the lid on the pot. Strain and drink at room temperature. Decoctions can be used 2-3 times before discarding. Keep the residue covered with cold water in the fridge during the summer months before discarding. The herbs used in Phytofarm Herbal Blends are safe for daily use, with the exception of Licorice which should not be used by people with high blood pressure.